Hello to all my friends! Camera Critters is here again and here's my contribution, a Papillion dog. 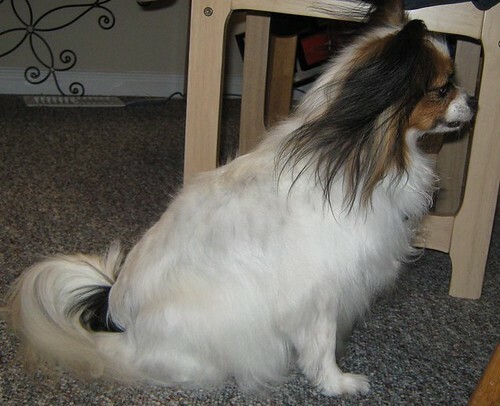 This healthy Papillion belongs to my friend's daughter Ashley. She is so cute, elegant, charming, intelligent and friendly dog. Aside from being elegant and dainty appearance she is also a good companion. According to my friend, she is very smart and so alert if there are visitors or strangers. She's not a shy type of dog nor aggressive but always ready to protect her family and home. 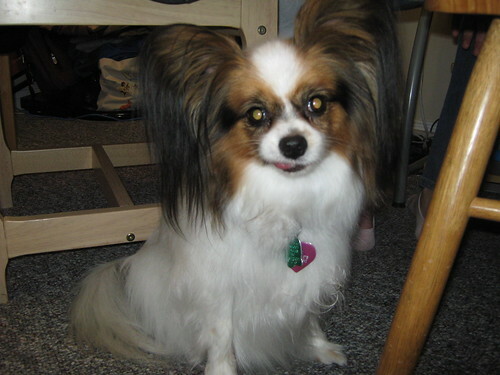 Papillion (pronounced as PAP-ee-yon) is also known as the Continental Toy Spaniel or Dwarf Spaniel. Others called this as Butterfly dog because the ears look like a butterfly wings. She loves to be cuddle, very obedient, playful and can perform many tricks. These pictures were taken last week at Diane's confirmation party. At the party my friend told me that they will relocate or move to the next city next month. They plan to contact the cheapest moving services next week. It's the safest, fastest and very affordable u-pack moving services. To view more animals/critters photos, visit Camera Critters and you can also participate if you like. Again, thanks to Misty for hosting the site. She is adorable love those ears. She is a cute puppy! Those ears are just adorable! What a beautiful dog! Love the expression in the last one. A beautifully groomed, sweet dog! The expression on the face in the last photo is just priceless! And those ears are very much like elegant wings! wow, what a cute little dog! i don't think i've seen this breed before! What a beautiful puppy. love the hair! These dogs are so cute. They were all over France when we were there. Adorable.